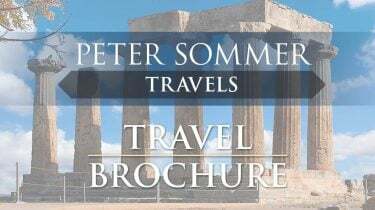 Here’s a selection of links you might find helpful when planning to come on one of our escorted tours, gulet cruises, or gulet charters in Croatia, Greece, Italy or Turkey. We have included some sites that we like, in other related areas of interest from history to travel writing, archaeology to photography. If you know of any other useful websites, please let us know. See our full schedule of escorted tours in Europe & Asia. This tour was indeed magical for me. I had never before been to Turkey but I quickly fell in love with the country. The ancient sites, the warm, clear, blue water of the Mediterranean sea , cruising along the beautiful Lycian coast and sharing wonderful, healthy Turkish meals with a great group of new friends made this trip truly memorable - a once in a lifetime experience. The guides and crew spared nothing and words cannot express my heartfelt appreciation for all that you did to ensure our comfort and enjoyment. Thank you!